A nip in the morning air, li’l kids holding the hands of their parents, piles of colorful storybooks strewn about in a front hallway, and incessant cackles of laughter – all of these indicate a whole lot of fun, right? Well, the latest outing of Team Story Time Publications was all about that. Fun came in huge dollops this time…it felt like Santa had arrived a week early! 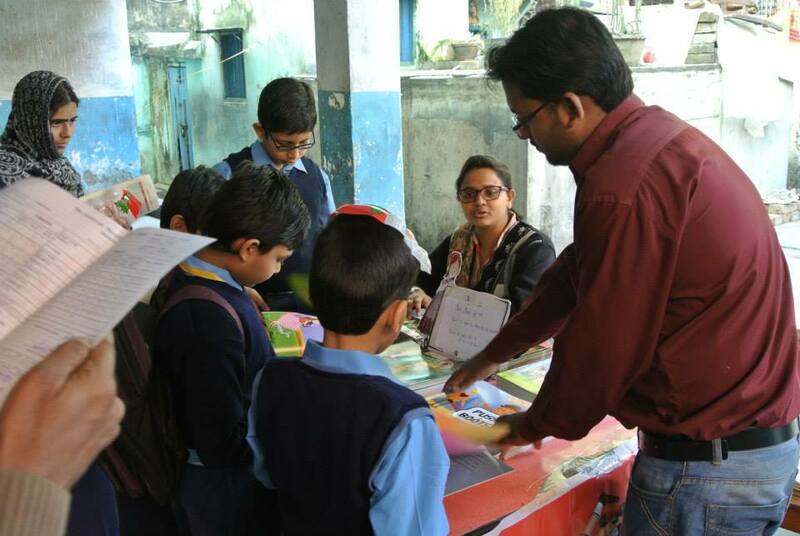 Unlike the digital interactive storytelling sessions that we usually conduct at montessori and play schools in and around Kolkata, this event was organized as a one-day book fair. The venue was the prestigious Scottish Church Collegiate School. And the date? The 18th of December – the annual report day at the school. 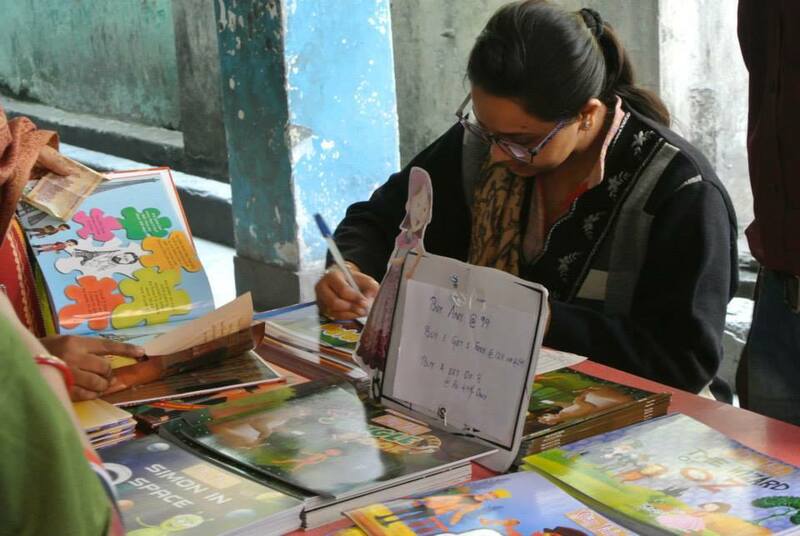 There were moms and dads galore in the school campus, and each of them made it a point to visit the Story Time stall. Some of them, several times. That’s The Crowd Waiting To Get The Story Time Books for their little ones! The day’s proceedings started early, and the designated four-member team from Story Time were at the school by 7:30 am (it was chilly, and that only added to the fun!). After a teeny-weeny bit of confusion, the headmaster of the school himself took charge of ensuring that the Story Time bookstore was properly set up. We asked for tables and chairs and a couple of other paraphernalia – and everything was arranged for within minutes. Things were all set for the arrival of kids and parents. A little bit about our set up for this book fair over here. It had been a collective decision to display 8 of our bestselling books at Scottish Church (6 paperbacks and 2 hardcover books). In addition, we had set aside half an hour to tell the parents about our super-successful mobile app for kids – Story Time For Kids (many of them already happened to have downloaded it, but that’s another story). 50 units of each book were carried along to the venue. The only cause for concern was, how we were supposed to bring back the unsold books. We need not have worried though, for all the books got sold out – in less than a couple of hours! Okay, back to the main action. We had expected the children to start coming in after the report-card distribution was over (that was what we were officially intimated too), and we were in for a pleasant surprise. Kids who had arrived early started trickling in to our stall almost as soon as we had finished setting it up. In fact, when the first little ‘buyer’ arrived, we were still writing down the prices for the books. 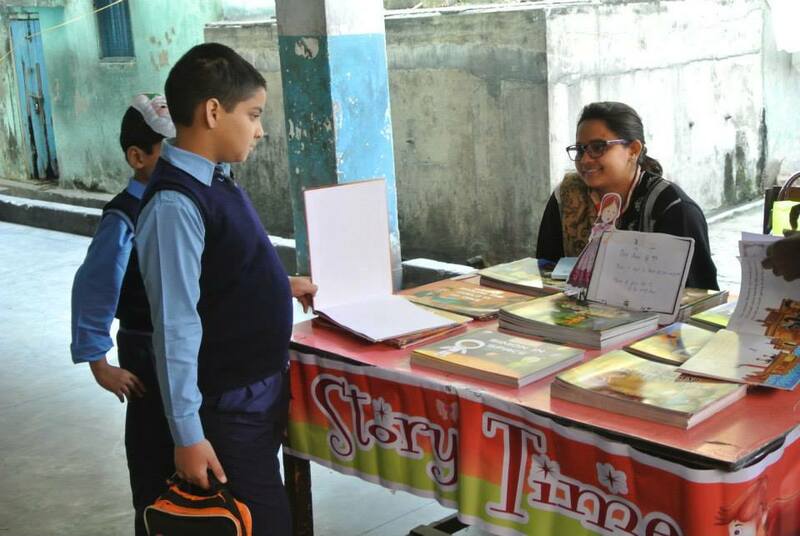 Over twenty books had been sold, by the time it was announced that all students had to report to their respective classrooms. Reluctantly, they departed – but only after promising that they would be back soon. The parents, meanwhile, lingered on at the Story Time stall (at least most of them did). 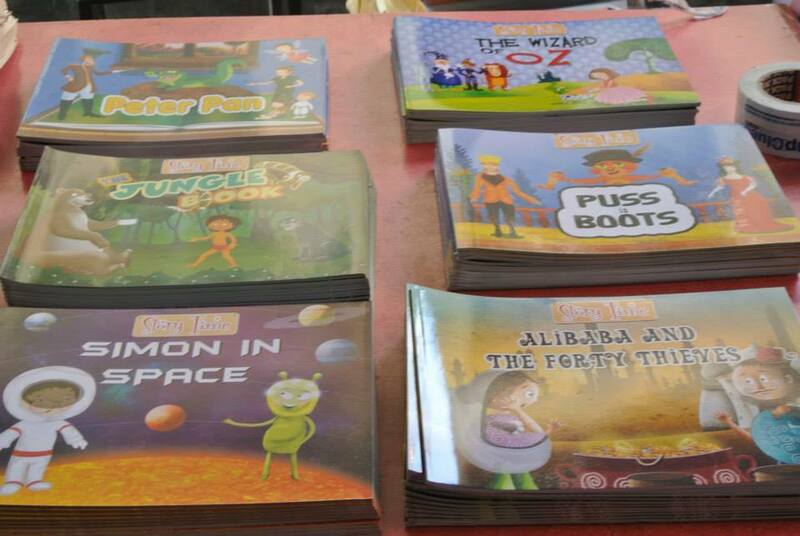 While they were pretty much sure about purchasing our books – many of them were in a dilemma as to which book their kids would love the most. We advised them to wait for the children to come back, and then make the purchase together. After all, all of them were books for children, and there was no point in buying them if the intended reader does not quite like his/her parents’ choices. Another common query of the parents was regarding the educational value of the Story Time books. 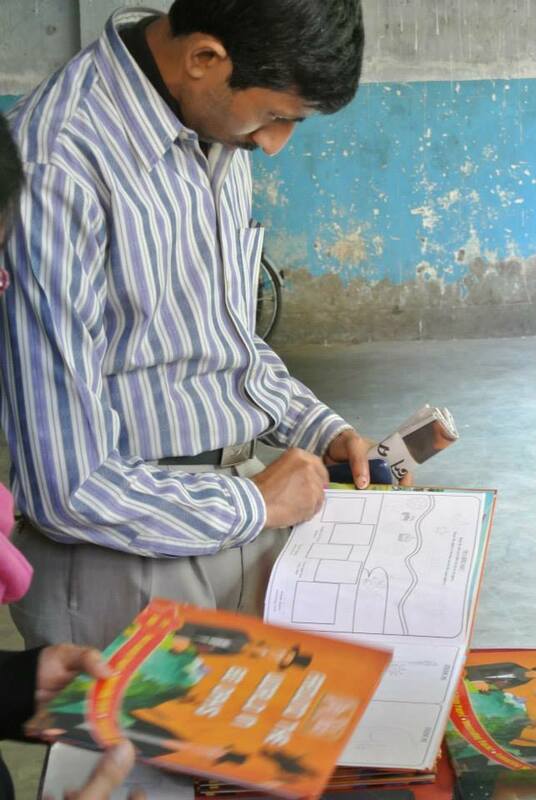 One of our representatives took up the responsibility of demonstrating all the activities, puzzles, interactive features and additional information tidbits in each storybook. Let’s just say that the moms and dads were impressed with what they saw. Three couples ended up buying the entire 8-book collection for their little ones. We bet the a big hug from the sons was awaiting for these parents later on. 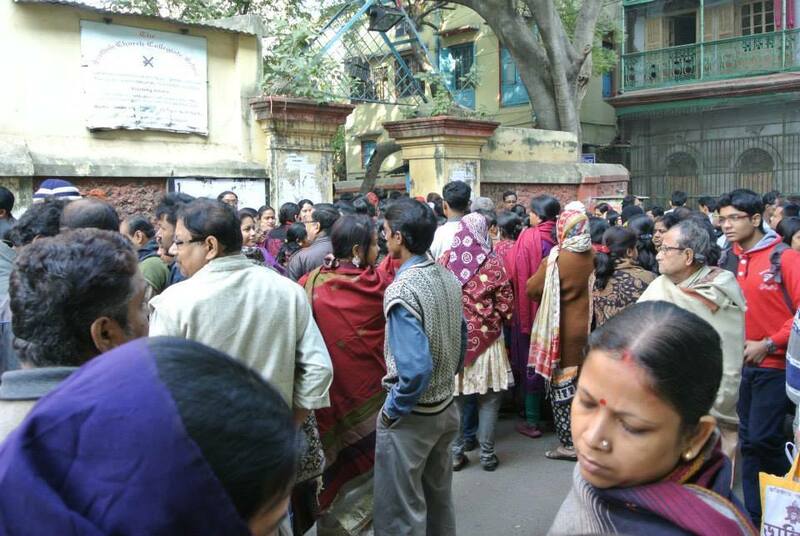 Following the report-card distribution, there was a small carnival organized by the school authorities. 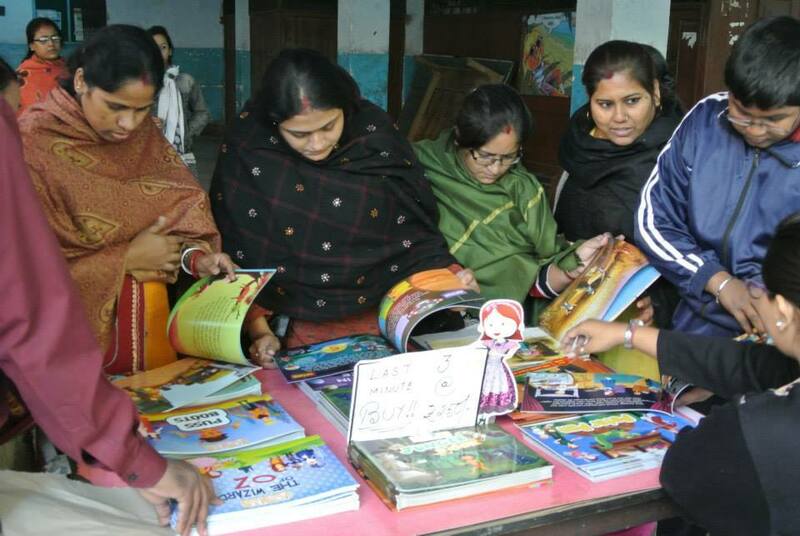 Once that was over, the attention of the parents and the kids (the latter, in particular) turned to our book stall. A big round of applause for the staff at Scottish Church School here, who made sure that people could systematically proceed to our book display section, and there were no chaos. We were, after all, only four – managing too many fidgety kids all at once might have been a problem. 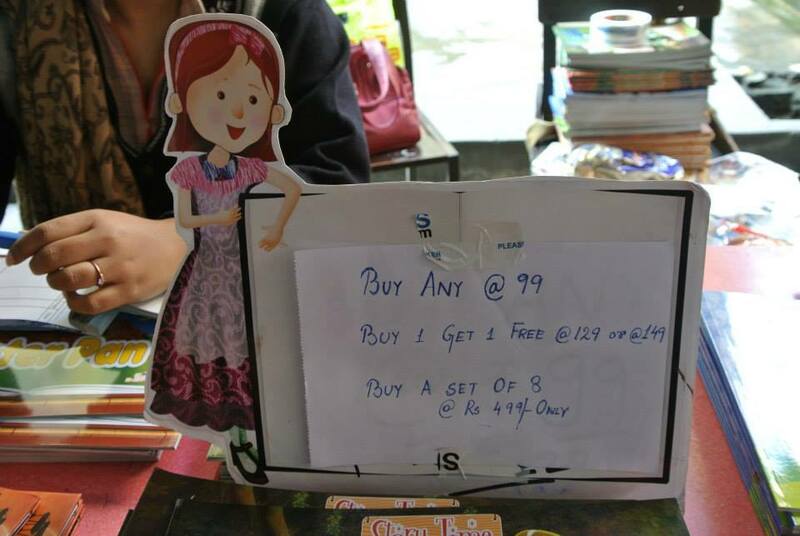 Just like the discounts Story Time is offering on different portals (e.g., eBay, Flipkart) in this Santa season for those who buy kids’ books online – we went with really attractive deals at this book fair. While the individual price of each book was Rs. 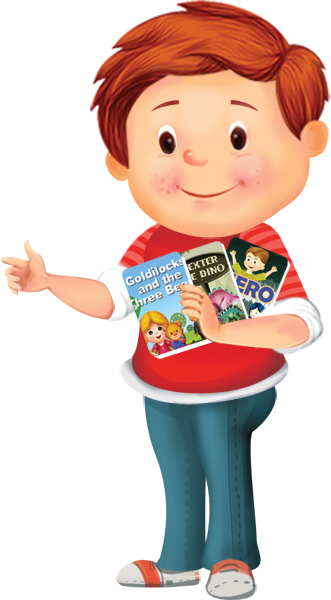 99, parents could avail of our ‘Buy 1 Get 1’ offer – which was all about getting two storybooks at Rs. 129. For our hardcover books, the combo price was just a tad higher (Rs. 149). For the entire 8-book set, the price was only Rs. 499. An understandably curious parent even asked us how we were being able to offer such high-quality books (he had taken a thorough look at them first) at such ‘throwaway’ prices. We told him the truth – putting a smile on the faces of kids matters more for us than mere monetary profits. We had originally planned to finish off the book fair by 11:00 am, and head back to office. That plan went totally haywire, because till well past 12 noon, we were packing books for kids, distributing toffees, and interacting with the parents. 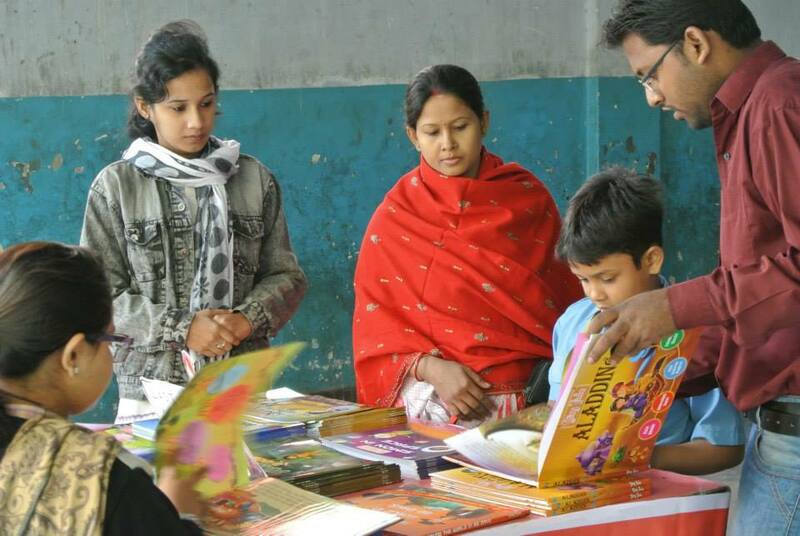 A little delay also occurred – owing to a confusion regarding the distribution of the school textbooks, which was also happening on the same day. By the time the crowd (and boy, it WAS a crowd!) thinned, the clock was close to striking 1 pm. Our BESTSELLER of the day! It was all very well to have eager kids coming in at our stall till late on, but we had run out of books by midday (okay, we had made an error in anticipating the rush for our books). To make sure that no one went home disappointed, we collected the name and contact details of the late arrivals – together with the names of book(s) they wanted to purchase. As this report is being written, two of our representatives are packing these ‘orders’. We have also decided to throw in a few free goodies with the books. After all, we could not give them the books yesterday, and there has to be some sort of a ‘late fine’! Books to see…Books to savor! Before wrapping up things on D-Day, we personally delivered one copy of each of our paperback/hardcover book to the principal of Scottish Church Collegiate School. 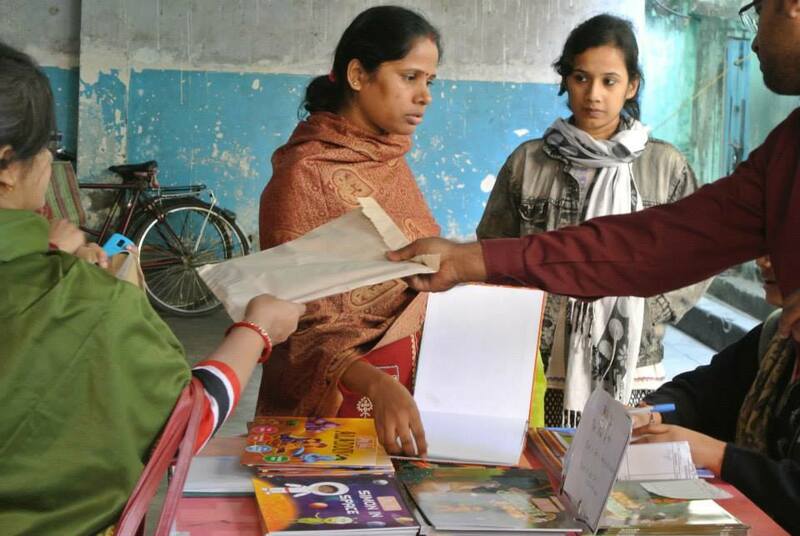 We owed a lot to his and his team’s efficiency for making our one-day book fair such a grand success. 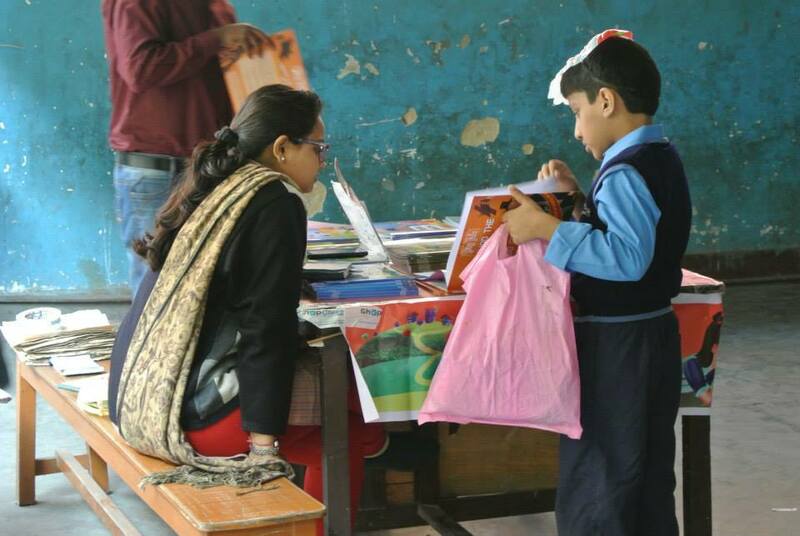 It was a mighty busy day for him – with the annual reports being distributed, the inaugural edition of the school carnival being organized, and the numerous parent-queries coming in. In the midst of all that, he made time for us, and gave us everything we needed to organize this event. We sure look forward to hosting more events over here. Maybe a Story Time digital storytelling session in spring? With a spring in our steps, happiness in our hearts, and…well…more than a peckish feeling, we packed up our stuff, and took a cab back to our office. A quick meal later, we were at our respective workstations – with that warm, satisfied feel of having participated in something special, something nice. 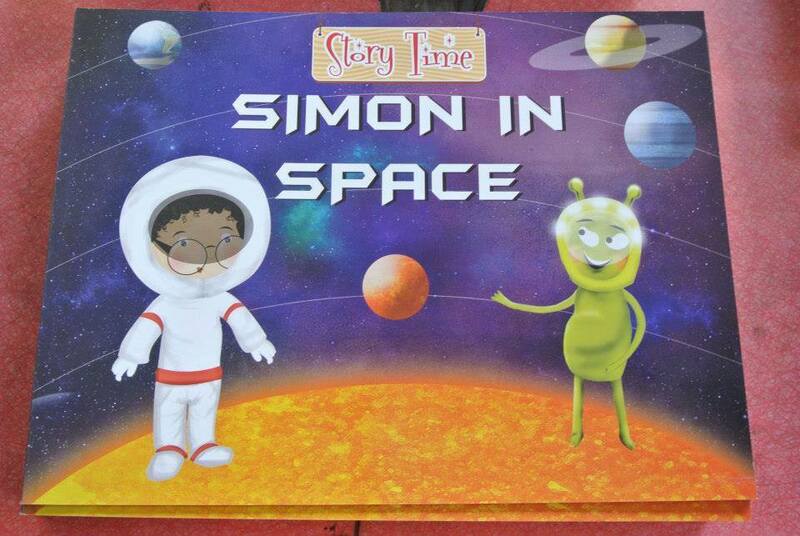 From 2015, we are planning to make the Story Time events more frequent. We enjoy them as much as kids do! That AWESOME moment…books changing hands! Are you not from Kolkata and/or cannot attend our digital interactive storytelling sessions and book fairs? Worry not, for you can easily purchase our books online from eBay, Amazon, Flipkart and Shopclues. 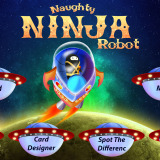 The latest version of our iPhone app for kids is also available for download at https://itunes.apple.com/in/app/story-time-for-kids/id410788584?mt=8. We have an interesting lineup of kids’ events planned out throughout January and February. Can’t wait for them, to tell you the truth!